For generations, people gave gifts of silver to commemorate special occasions like weddings or anniversaries. Through the years, items like tea sets, serving platters, place settings and serving utensils were treasured as heirlooms for their connections to generations past. As a result of this long history, many families have ended up with more silver than they know what to do with. And the reality is, for today’s families, silver is not very practical. 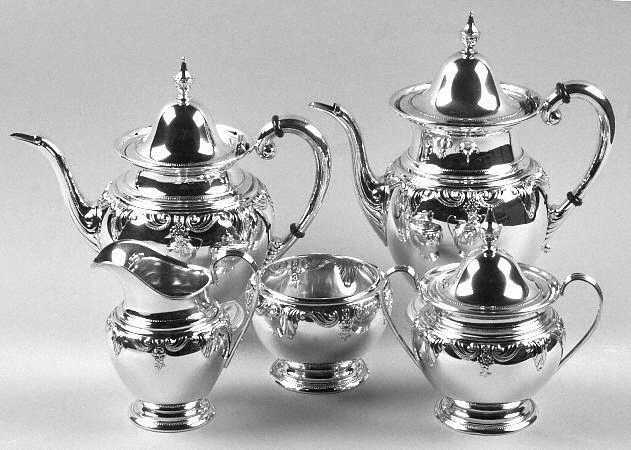 Each time the silver is brought out for Thanksgiving or other special occasions, it may require hours of polishing to restore its full luster. Massachusetts pawn shops have seen an increase in the number of customers who want to sell their silver for fast cash. With the price of silver nearly double what it was just 5 years ago, this may be the best time to clean out the china cabinet, closet and attic. Silver serving platters, candelabras, hollow ware and other silver pieces that have markings that validate their silver content are extremely desirable. 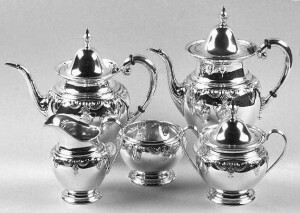 Recently, we paid over $900 in cash for a customer’s silver tea set consisting of only a teapot, creamer and sugar bowl. Another customer brought in 12 silver place settings. Each one contained a knife, two forks and two spoons and brought the owner $77 per place setting. Multiply that by 12! The customer walked out with nearly $925.00 in cash! Today’s family is hosting more casual affairs for family and friends. This change in entertaining style is making silver service pieces obsolete. Add the fact that beautiful, modern pieces made from stainless steel don’t require the painstaking polishing that silver requires, and it’s easy to see why selling silver serving pieces to Massachusetts pawn shops is so popular. Stamps or markings on your pieces will tell you if what you have is truly silver, or simply silver plated. A stamp that says “925” (meaning 92.5% silver) or “Sterling” indicates that what you have is the real thing, and can be sold for cash. While these are the most common markings, you may also see other number markings such as “900” or “800”that indicate that your pieces could be worth cash. Your pieces may display other markings as well, but they are often just manufacturer, silversmith or country or origin marks and don’t represent the value of the metal. Antique dealers and collectors may have interest in these pieces if they are older, or have specific markings. Unlike clearly marked silver pieces that have obvious value to Massachusetts pawn shops, these items may require more work to find an interested buyer. For fast cash, remember what the Lone Ranger used to say: Hi-you Silver, Away! 10K, 14K, 18K or more: What’s the best gold to buy? Ask any jeweler in Massachusetts which is the best gold to buy and you’ll learn that it’s not an easy answer. 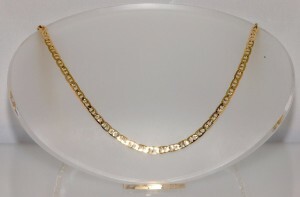 In addition to the different colors of gold, gold can come in multiple different karats. 24 Karat pure gold is “The Gold Standard”, but does that make it better? Is 14 Karat gold better than 10 Karat, but not as good as 18 Karat? With the exception of “gold-filled or gold-plated” pieces, the answer is both “yes, and no”. Let’s start with 24K or pure gold. This is what is traded on the commodities market and is featured in those gold bars you see in movies and pictures of Fort Knox. Stockpiling gold is also one way many countries store their wealth and often even pay their debts. Any jeweler in Massachusetts knows how unusual it is to find jewelry made out of 24K gold. This is because 24 Karat gold is a soft metal and tends to bend or scratch easily, making it impractical for the wear-and-tear jewelry can receive. Some countries such as Asia, Africa and South America do, in fact, make jewelry out of 24K pure gold, but it is rare. 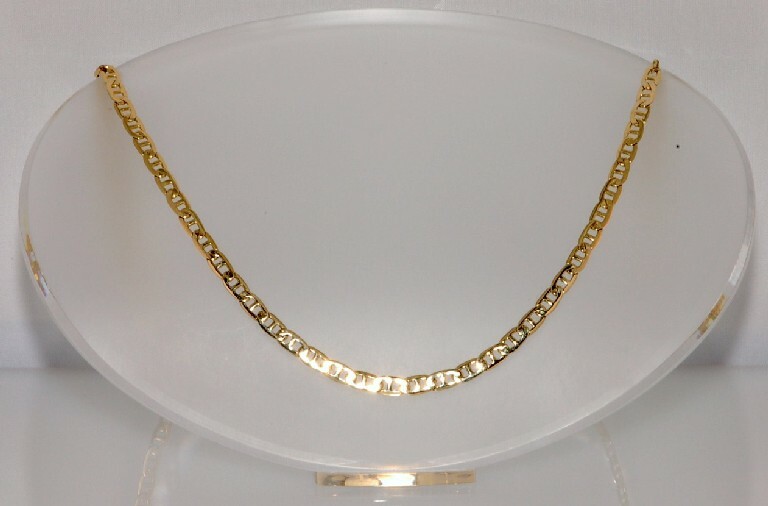 Pure 24K gold jewelry has a very distinct, deep yellow tone that makes it look different from other types of gold jewelry. 10K, 14K and 18K gold jewelry are most commonly used to manufacture gold jewelry and yet literally have less actual gold content. 10K gold may have the number “417” stamped on it. This indicates that the items are 41.7% gold with the remainder being other metals or alloys such as silver or nickel. While this lowers the cost of the piece, it actually makes the jewelry harder or stronger. If you’re shopping for a ring or bracelet and tend to work with your hands, 10K might be a better choice. As far as appearance, it would be difficult for even an expert to tell the difference between 10K and 14K gold by simply looking at it. Likewise, 14K gold, may be stamped with “585” because the content of the metal is 58.5% gold. The majority of gold jewelry we see in our stores is 14K because it works perfectly for everything from rings and bracelets to chains and earrings. 18K Gold jewelry is very popular in Europe and South America. It has a deeper golden tone than 10K and 14K gold and may have a “750” stamp indicating it is 75% gold. While it is softer than 10K and 14K gold, it is often used for earrings, chains and pendants; pieces that aren’t likely to get the same rough treatment that jewelry worn on your hands might. Elaborating on this topic in more detail, Empire Loan’s CEO Mike Goldstein answers some frequently asked questions about gold in the video below. So the answer to the question, “is 14K gold better than 10K, and not as good as 18K” is both yes and no. Lower Karat jewelry may be more durable but higher Karat may be perfect for the right piece. It’s up to you! Empire Loan Featured on FOX 25 for the Tax Free Holiday Weekend. What should I do with my old coins? People have coins everywhere –in piggy banks, change jars, between the seat cushions — and they could be worth more than you think. A quarter, for example, could be worth much more than 25 cents, depending on its numismatic value(the value to a coin dealer or collector for a rare edition) or the intrinsic value (the value based on the metal content). Either way, it could be worth your time to take a minute to check. Any reputable pawnbroker who offers cash for gold in Massachusetts would be a good place to start. Numismatic collectors and coin dealers often look for rare coins that were produced in a certain year or produced at a particular mint, creating a value well above just the “face value” of the coin. There are experts all over the world who may collect these and will pay a premium to own them. They look for uncirculated or proofs, coins in perfect condition and protected from scratches and dings. Two organizations that grade coins include PCGS (http://www.pcgs.com/) and NCG (http://www.ngccoin.com/). Grading reports by these organizations can help dealers and collectors determine the value of their coins. 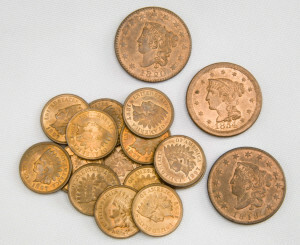 To numismatic collectors certain rare coins in any condition may have tremendous value. Experts will tell you that you should never clean or polish a coin because that will harm it’s numismatic value. With the increase in the price of gold and silver on the commodities market, certain coins have seen their value skyrocket. Many people have decided to cash in their coins or unwanted jewelry while market prices are high to get cash for gold in Massachusetts. An American quarter minted between 1932 and 1964. for example, has increased in value to $2.50 based on the silver content in the coin and where silver is trading at on the market today (7/12/13 = $19.86 oz.). At that value, it is worth 10 times what it was when it was handed out as change. Why is that? It’s because US minted quarters produced during that period are made up of 90% silver. Everything from US silver dollars, half dollars, quarters, dimes and nickels were produced during certain periods with higher silver content, making them now worth more than their face value. The same can be true of coins from other countries such as Australia, Canada and China. Many of these countries have minted coins that may be worth more than their face value. It always pays to check! One other type of “coin” that may have a higher value than its face value is the commemorative coin. These may have no numismatic value (you can’t spend them in a store) but they have a higher intrinsic value (they are worth their weight in silver or gold). Usually commemoratives are produced by recognized banks and governments with official markings that can assure you of their true value. They may have different precious metal contents, but they are recognized the world over. Credit Suisse, Krugerrands, the US and other government mints produce gold and silver coins that can be bought, sold and traded as a commodity based on their gold and silver content. So before you throw those coins into the coin jar on your dresser, take time to find out if that quarter could be worth a whole lot more than just twenty five cents. The value of your jewelry keeps growing. Part of this is due to the rising price of gold, silver and diamonds. It’s also likely that the size of your collection has grown over the years. People tend to continue buying and receiving jewelry as gifts. That raises the question: How do I keep my jewelry safe? Here are some ideas. Safes: One suggestion is to get a safe for your home. 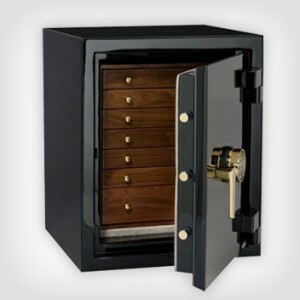 Lock boxes and small safes are available from around $20.00 to thousands of dollars for a specialty safe or vault. The simple home variety can keep your merchandise safe from fire and flood, as well as secure from thieves. Many have keys or combinations that help to keep people out of your private belongings. The downside is that thieves can simply carry it away and worry about opening it later. Safe’s are easy for thieves to spot when they have access to your home or office. Safe Deposit Boxes: “Safe Deposit Boxes” offered by banks used to be the most common way to safeguard valuables. These are basically lock boxes that ware rented out to customers on a monthly basis and used by customers to store their valuables in the bank’s vault or safe. Some banks still offer these and they are obviously safe. The downside is that they can be very expensive to rent and there are a limited number available. Another drawback is only being able to access your property when the bank is open. Wearing those diamond earrings or bracelet when you want, without having to run down to the bank, is certainly more appealing. Pawn your valuables: That’s right, you can pawn your valuables to ensure that they are safe and sound. MA pawn shops like Empire Loan have security systems including cameras, safes and alarms to ensure the safety and security of your merchandise. A customer recently came in to Empire Loan with enough jewelry to get a loan of over $1,500.00 but only wanted a $100.00 loan. Why? She had a two-month vacation planned and was worried about her jewelry while she was away. With a $100.00 pawn loan in our Massachusetts based locations, the interest and fees would cost her only $14.00 – a small investment for huge peace of mind. Can Safe: Empire Loan and other MA pawn shops sell what is known as a Can Safe or Diversion Safe. These are containers that look just like everyday products such as hairspray, dog food, decorative candles, books and such. These items actually contain secret hiding places where you can stash your valuables and then hide them in plain sight. Thieves aren’t likely to look through your pantry shelves or cleaning products for valuables. These safes are made to blend in perfectly with ordinary everyday items. Starting at around $20.00, Diversion Safes are a great way to store your valuable jewelry without turning your home into FortKnox.